carriages. Of course their trade overlapped with the wainwright and even the blacksmith as well. 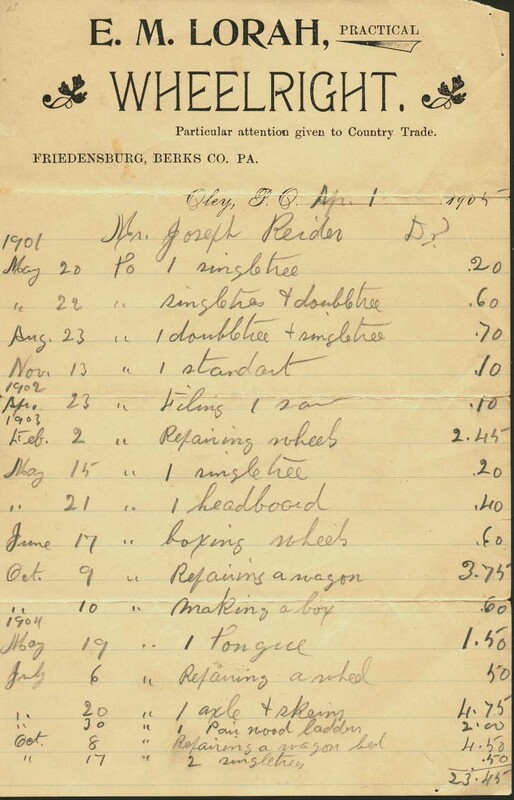 It is a page from a ledger book starting around 1900, kept by a wheelright working in Berks County PA.
forms of harness parts and wagon repairs as well as wheel repairs. the bottom for a weight), tire bending tools, and of course the "spoke shave".